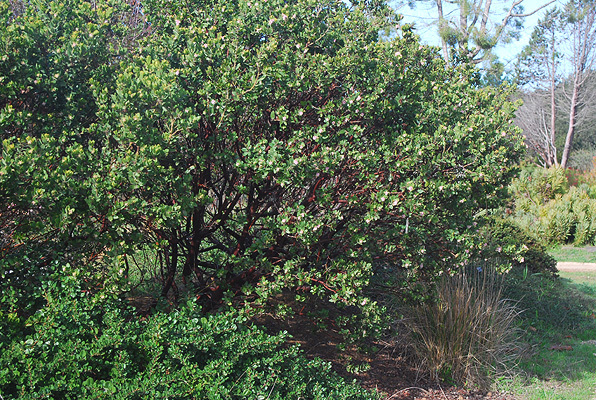 Broadleaf evergreen shrub, 4-15 ft (1.2-4.5 m) tall, branches upright and twisted. Bark reddish, shedding. Leaves alternate, simple, upright in tight, overlapping clusters at ends of branches, heart-shaped, 5-10 cm long, leathery, base rounded to lobed, margin entire or slightly toothed. Flowers small, white to pinkish, in dense clusters at ends of branches. 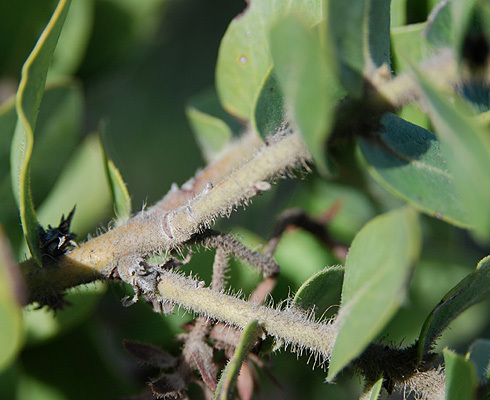 Fruit 6-7 mm wide, glandular-hairy, reddish-green, in clusters, present April-June. Hardy to USDA Zone 9? 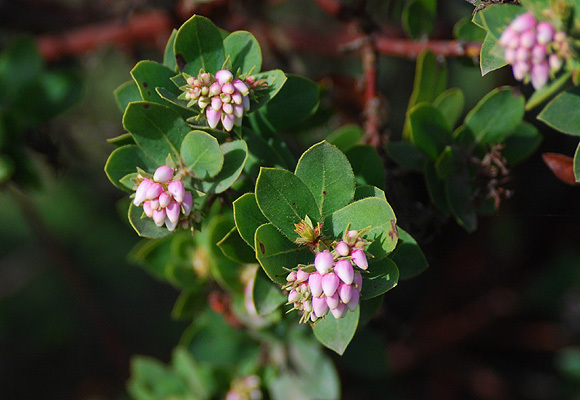 Native to California, found on Montara Mountain, south of San Francisco.